The Veolia Mulwaree Trust is now calling for applications from local artists for the 2017 Veolia Creative Arts Scholarships. 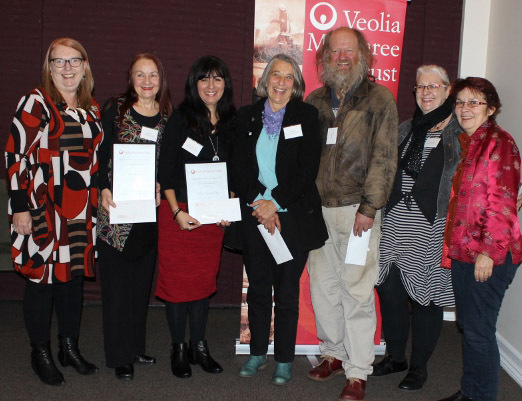 The Veolia Creative Arts Scholarships are available for practicing and emerging artists from any one of the seven Local Government Areas serviced by the Veolia Mulwaree Trust, including Goulburn Mulwaree, Oberon, Palerang, Shoalhaven, Upper Lachlan, Wingecarribee and Wollondilly Shire Council areas. The Veolia Creative Arts Scholarships are now in their sixth year and were established to support the creative culture in our region and recognise the valuable contribution artists make to enrich our community. The Trust previously supported the Jennifer Lamb Veolia Creative Arts Scholarship in which eight scholarships were awarded over four years from 2008. Jennifer Lamb is the Founding Patron of the Veolia Creative Arts Scholarship and committee panel member for 2017. Two scholarships valued at $3000 each are available for this year. The scholarships are on offer to local creative artists working in any arts discipline, including but not limited to, visual arts, music, theatre and writing. One arts practice scholarship will be available for a creative artist to further his or her art practice, such as by making and/or completing a body of work for exhibition, publication or performance. One arts study scholarship will be available for a creative artist to undertake a program of arts study in any format, for example, at a tertiary institution or other educational program, through a mentorship program or study tour. The closing date for applications for the 2017 scholarship program is Thursday, 2 March 2017.